One of the main causes of thatchy turfs is soil compaction or soil structure degradation. Compaction happens when the bulk density of the soil increases due to internal or external loads, such as walking or running on the grass. Soil structure degradation is bad for your landscape because it has negative effects on the physical, biological, and chemical properties of the soil. Lawn aeration reverses soil compaction by loosening it to a great depth, which is achieved through holes reaching three inches into the ground. 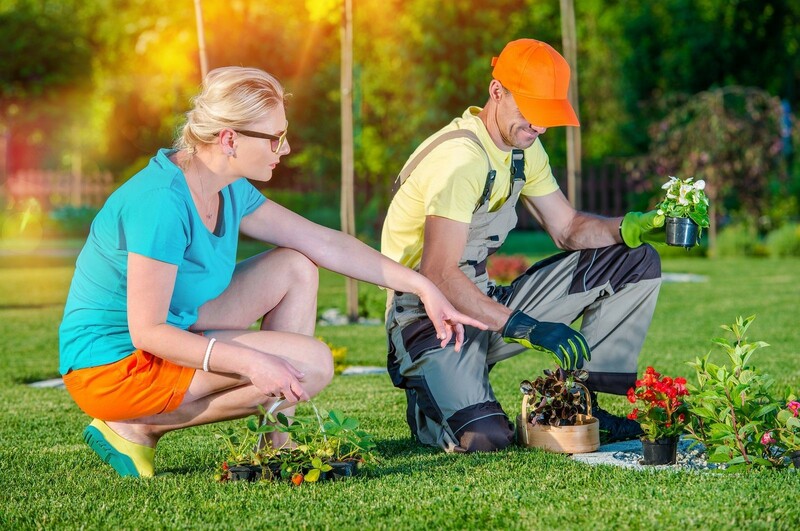 Here are the three reasons why you should ask your landscaping company to do lawn aeration. With proper and timely aeration, you are improving the properties of your soil. Soil compaction degrades your turf while aeration reinvigorates it by allowing air, water, and nutrients to penetrate more deeply into the ground and the root systems of your plants. Soil structure is enhanced through removing lumps, while soil density decreases through greater pore space. Aeration improves soil porosity, too. Pore spaces refer to the empty areas between soil particles that air and water occupy. A proper balance in pores enables good root respiration as well as nutrient and microbial activity. Moreover, aeration boosts the biological attributes of the soil which are essential for helpful organisms to thrive in it, especially those who decompose organic matter and fix atmospheric nitrogen. With soil having better properties, the grass will have enhanced growth as well. Soil structure affects plant growth. The pores control how much air and water comes into the soil in addition to ground temperature, all of which affect the health of plants. A well-aerated soil promotes root growth and soil water absorption, which influence the movement of nutrients. Aeration enhances soil moisture and oxygen take-up, which boosts root elongation and helps remove toxic substances from plants. Aeration is specifically important to soil with heavy clay and already thatchy turfs. Clay soil is sticky and aeration reduces this property, thereby enhancing its water-holding ability. Aeration can also benefit thatchy landscapes. Plugging out dirt and thatch enables the soil to get more air and water and produce stronger grass. Apart from the regular watering, mowing, and feeding, there’s another important activity that should be done at least once a year- lawn aeration. Aeration can now be done mechanically through aeration machines, though the traditional method of digging into the soil and pulling out small plugs of dirt and thatch works as well. Ask your landscaping company about aeration and consider including it in your lawn care program.